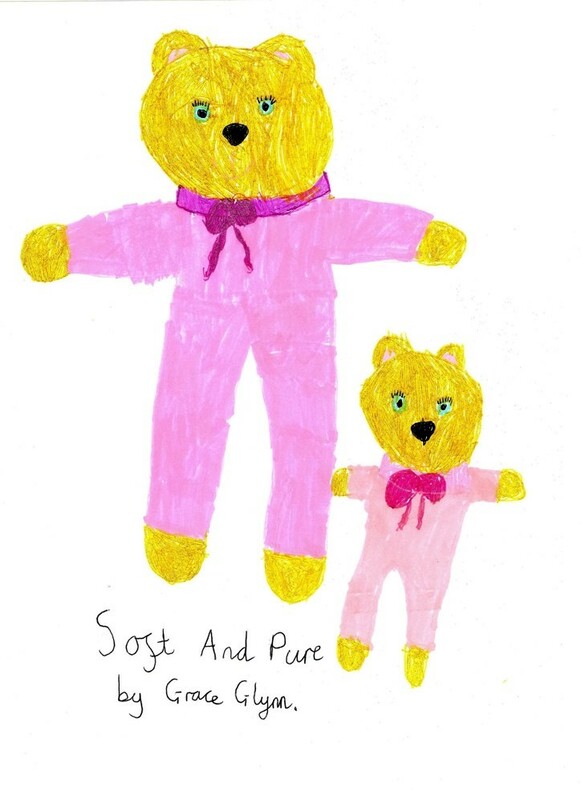 A while ago the lovely people at Comfort got in touch to see if Gee would like to draw a picture of what soft and pure means to her and I knew without doubt that her picture would depict a teddy bear. Gee loves the comfort that her teddies supply and I am sure she finds them soothing as she is lay in bed at night. After a while Gee received a magically transformed soft and cuddly creation from her drawing which was a wonderful surprise from Comfort. 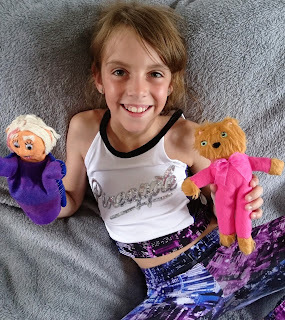 I must add that she had to include her hand puppet that she made in the below photo, she is turning in to quite a designer of sorts. On a more serious note, Gee has struggled from birth with sensitive skin and it is so good to know that I can have soft washing without irritating or harming her skin in any way. Whilst she is no longer small, she still deserves the same protection and softness on her skin and the smell of Comfort Pure still reminds me of those baby days, memories to treasure. Comfort Pure Ultra Concentrate is the same Comfort Pure we know and love, but in an ultra-concentrated format, perfect for caring for you and your family’s sensitive skin. The new formulation lasts for an impressive 38 or 64 washes despite its small pack size. It has been expertly developed to provide a combination of softness and freshness from wash to wear. Comfort Pure’s skincare research is also recognised by the British Skin Foundation, and the formulation is dermatologically tested and especially for people with sensitive skin. You can find more information here. I definitely won't be changing my choice of fabric softener, Comfort has been with me throughout my years of motherhood and it will most probably take me in to my older years. Comfort Pure RRP is £3.30 for 38 washes or £4.89 for 64 washes. We were sent a gift from Comfort for the purpose of this post but the opinion is entirely my own. Lovely post! Those teddy bears are super cute! Amazing the comfort lasts 38 washes too. I love Comfort Pure. We use it here every time. We only use comfort. It makes such a difference to how our clothes feel.